E-64-d is the membrane permeable analog of the inhibitor E-64-c. By the chemical point of view, E-64-d is the ethylester of the Thiol Protease inhibitor E-64-c, which will released from E-64d after hydrolysis by intracellular esterases. It is reported that E-64-d inhibits degradation of plasma membrane proteins in endosomes and prevents both calpain upregulation and apoptosis. The inhibitor E-64-d offered from PeptaNova is chemically manufactued and not from biological origin. 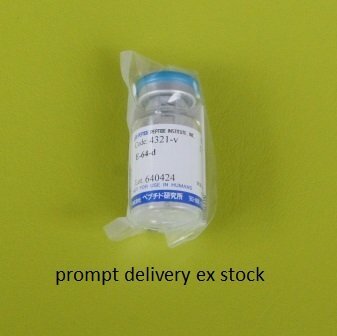 The standard inhibitor for cystein proteases E-64 is also available for prompt delivery ex stock.